Happy Halloween! I can't believe I am actually writing about this year's Halloween costumes on the day instead of days, weeks, or :/ months later. This also is the first Halloween that Bryan was in charge of the most difficult parts. Needless to say, this has been the least stressful Halloween to date! This year, Feather knew back in the Summer, that she wanted to be a Teenage Mutant Ninja Turtle. Keela said she wanted to be Elsa from Frozen. That was easy, I had already made her an Elsa costume that still fits. The shirts and pants were easy, I was able to find green sweatpants for next to nothing. For Venus's shirt, I used green dye to dye a white t-shirt. We had a green shirt for Michelangelo, so while everything might not be the same perfect shade, it works. For for the masks, belts, and wrappings, I raided my fabric stash. Bryan used made Venus's fan using scraps of wood and paper. Keela finished it off by decorating it with stickers. For Michelangelo's nun-chucks he used an old necklace, water noodles, scrap wood, then painted them. The most difficult part were the shells. First he glued several layers of cardboard together, cut the shapes out, then molded the back shells so that they would curve. Then came the long process of painting the fronts and backs. They wanted to wear their costumes to school, and it poured rain, so thankfully he finished them off with polyurethane to protect the paint. Halloween is upon us!! Be on the look out for this year's Halloween post :). Bryan has been in charge of the major elements this year, so no last minute sewing this year! With Halloween on my mind, I put together another "costume, not costume". I had to show a close up of this headband from our shop. The delicate layers of hand dyed nylon truly look like a pink poppy. 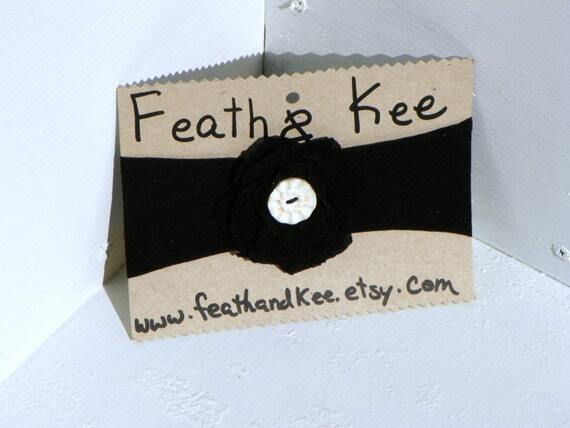 The center is a vintage pearl button. 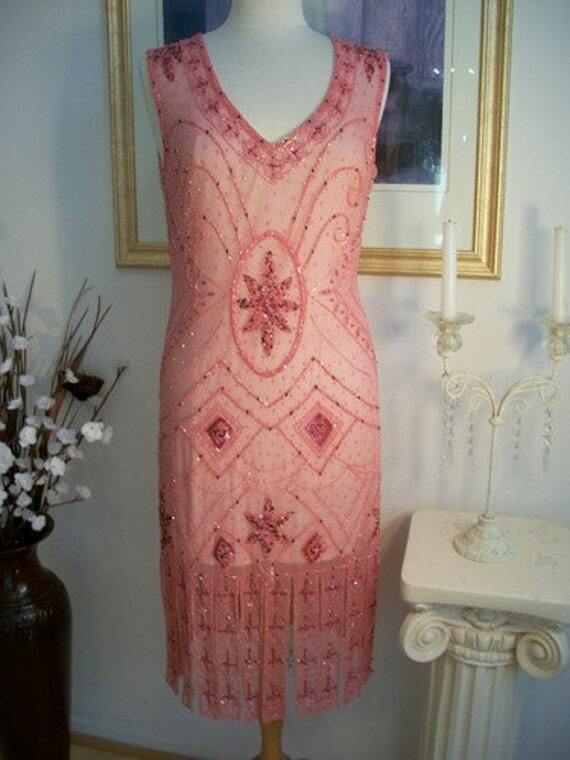 So going with a flapper look, I found this gorgeous handmade dress from Wear Dreams are Made. It is part of their Dress Though Time collection and is made to order. 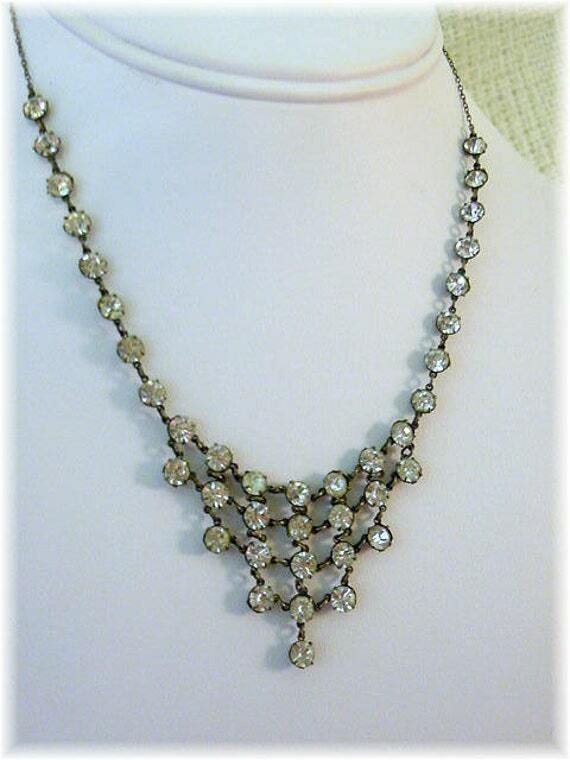 Sterling silver and rhinestones unite in this lovely paste necklace dating from the early 1900's. It is in close to excellent condition. Get it at Find Me Treasures. 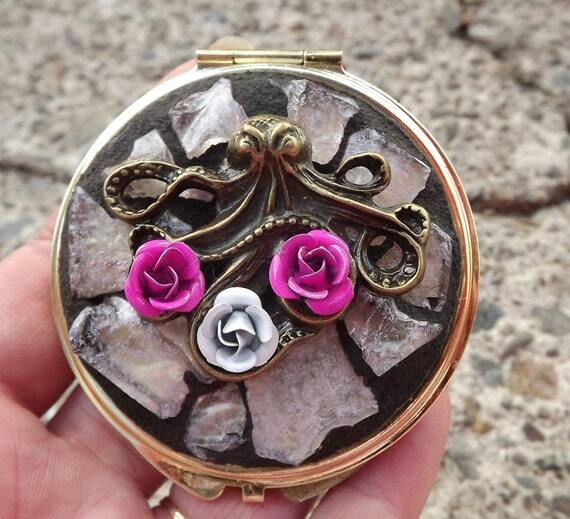 Adding a touch of steam punk to our outfit, this up-cycled compact from Pieces of Home Mosaics is adorned with roses, pink tumbled glass, and an octopus. 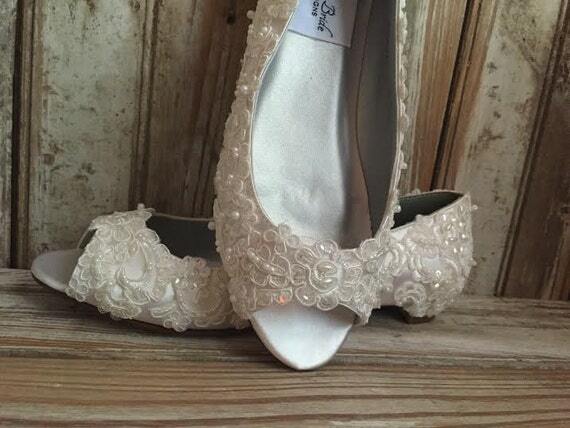 Hand beaded with lace, these pretty shoes from LaBoutiqueBride combine comfort and style. 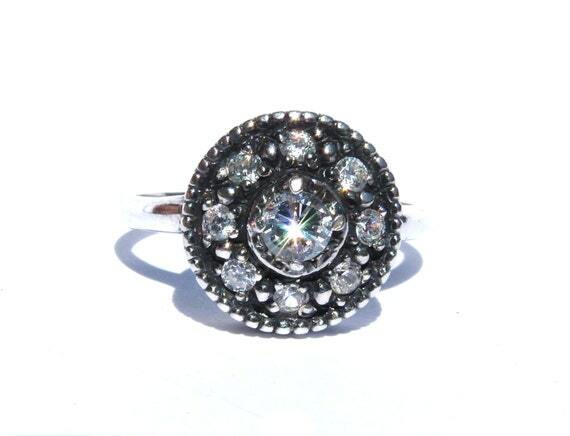 This beautiful vintage ring from Express Yourself is made from sterling silver and features European cut diamonds. 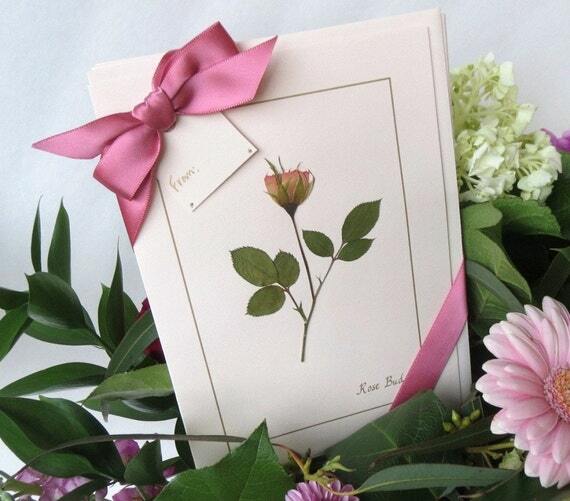 Send thank you notes to your host / hostess, with these cards from Patsy's Pressed Flowers. They are made from real pressed roses. 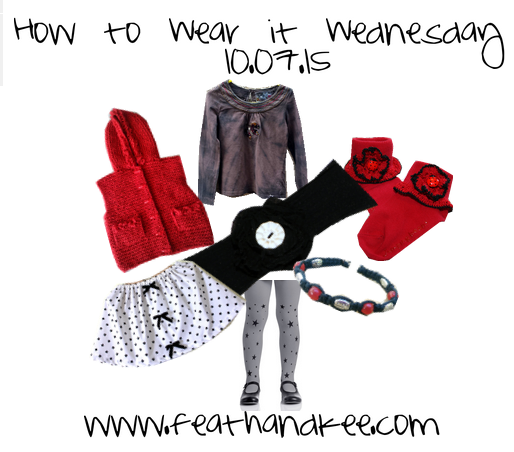 That wraps up How to Wear it Wednesday for this week! 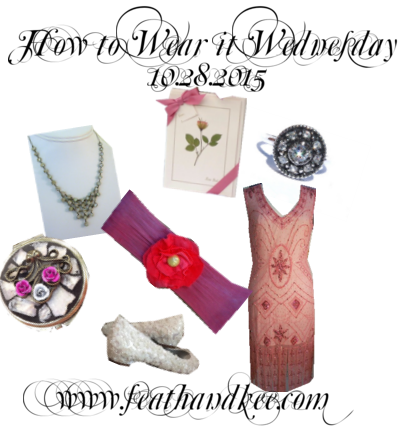 Every week up to this one, has only featured items that are either handmade or up-cycled. This week I have a mix of handmade and vintage items that also all happen to be from TEMPT Team members. TEMPT Team is an Etsy promotions team where I am happy to say that I am a team leader. This is a great group of people who really enjoy helping each other out and seeing their team mates succeed. We recently celebrated our first birthday, and I can't wait to see what the next year has in store. With Halloween and the parties that go on, I put together an outfit that will carry you through with style and fun. 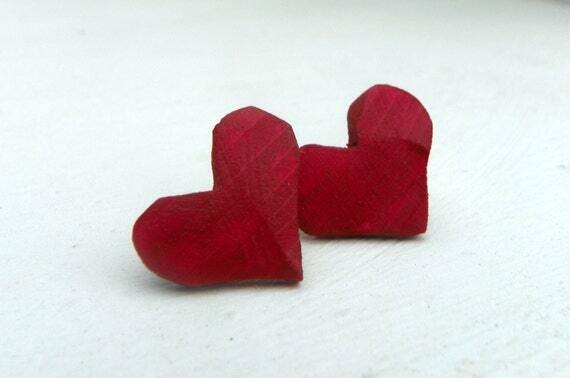 The inspiration item from our shop this week, is this pair of wooden heart earrings. I cut these out and sanded them by hand so while they are very similar, each earring is unique in it's own right. This fun vintage dress from The Smart Set Vintage has it all! I can not decide which is my favorite, the tulle underskirt, or the glittery black polka dots. 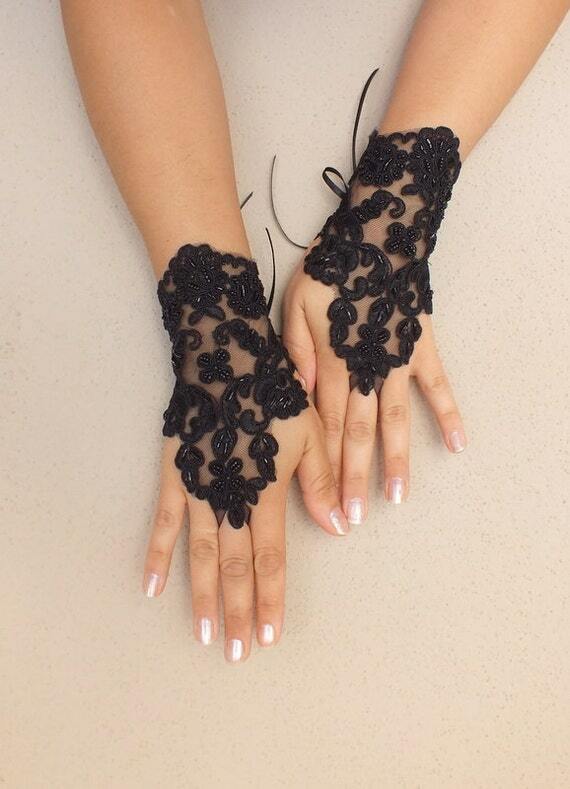 Adding Gothic fairy-tale to our outfit, these black lace gloves from ByVIVIENNE are made from delicate French lace. 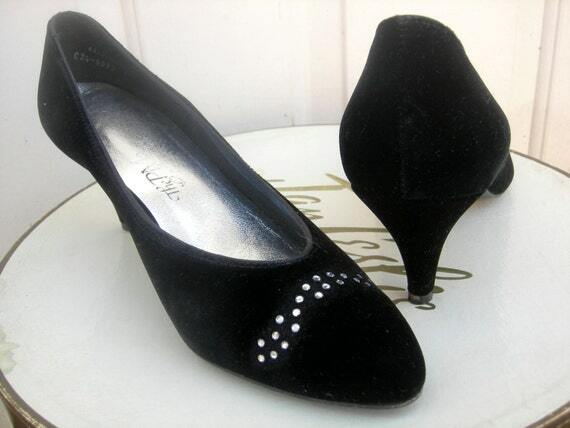 The rhinestones sprinkled across the toes of these vintage heels from Sassy Senorita Vintage add some sparkle without sacrificing comfort. 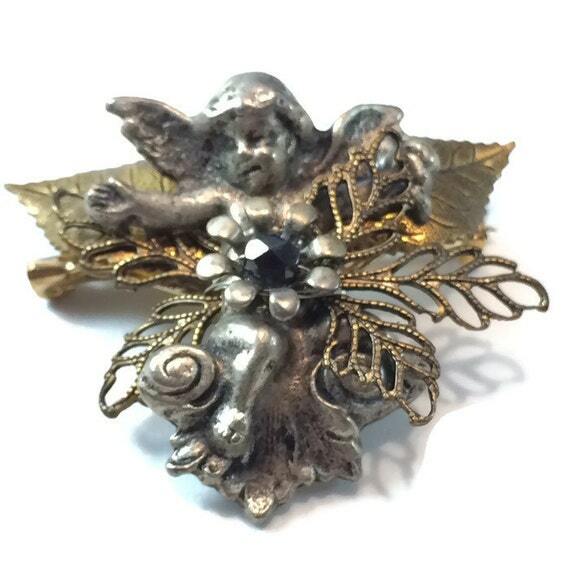 Mystery and whimsy combine in this vintage brooch from Vintage Vybe. It is made of gold and silver toned metal, finished off with a glass bead. 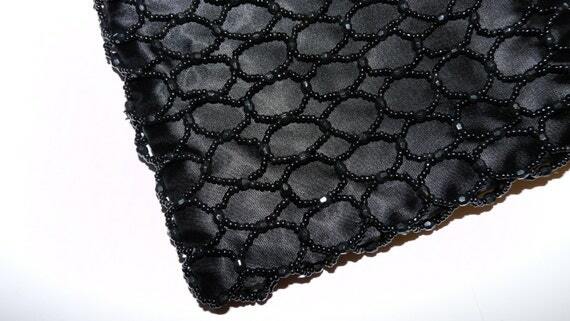 Carry your essentials in this beaded satin bag from Kitsch and Collectable. It is vintage and in excellent condition. Even if you are not a Game of Thrones fan, this gorgeous necklace from Grey Girl Designs will become a favorite. 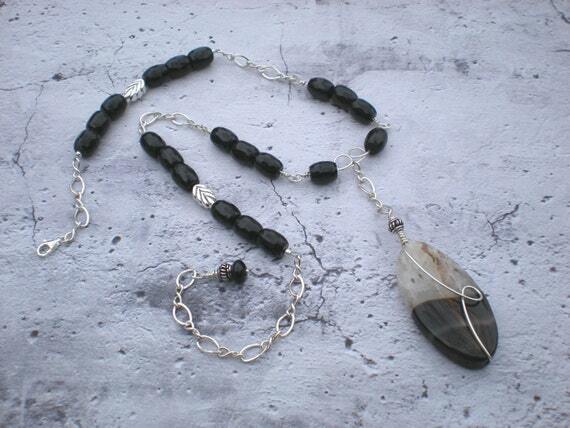 It features an Agate focal stone, and onyx beads. The final item for this week, is this pretty crown of roses from Kitty Katerina. You could wear it in many different ways, and I felt that it really added to the spooky / goth theme for this week. I really like versatile pieces that can be mixed up and worn different ways. This outfit is definitely one of my favorites. 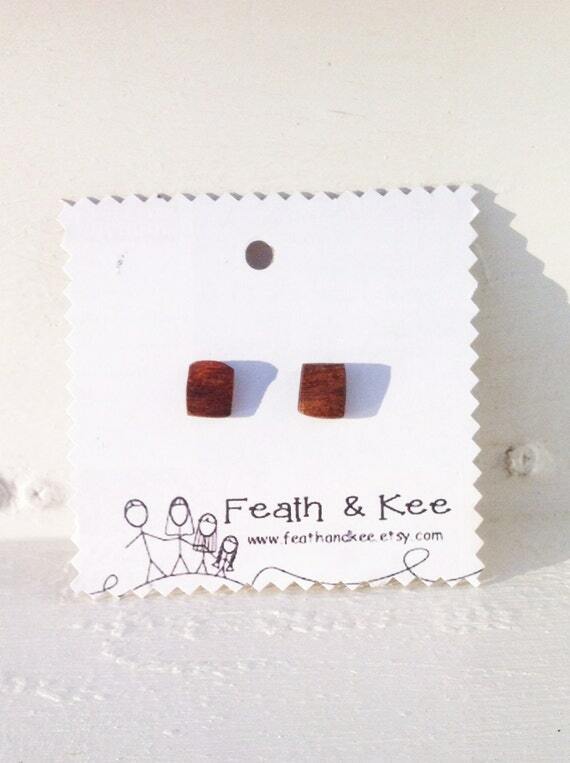 These small, square stud earrings are made from a tree root. The color is the natural color from the wood. I finished them with linseed oil, but the rest is mother nature. 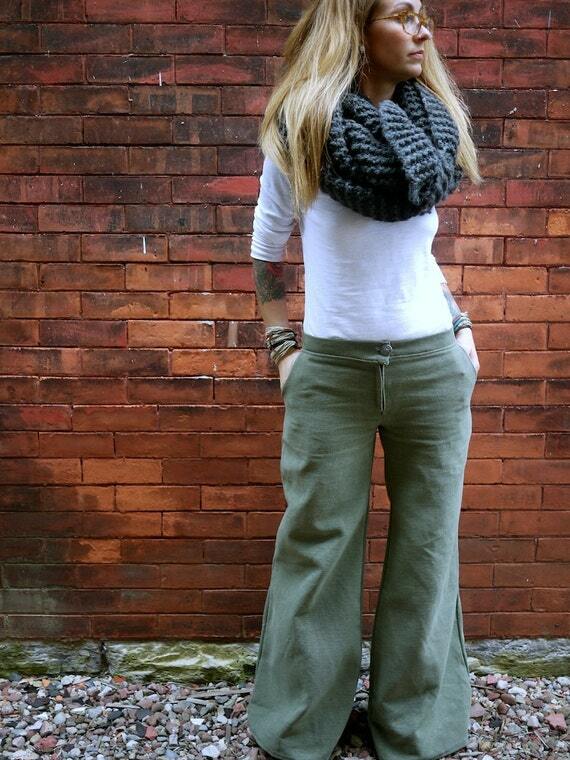 These awesome pants from Clementinyclothing are made from vintage, reclaimed materials. So, they are comfortable, verstile, eco-friendly, and one of a kind. A lovely mermaid rests inside a mussel shell from the Puget Sound in Washington State. 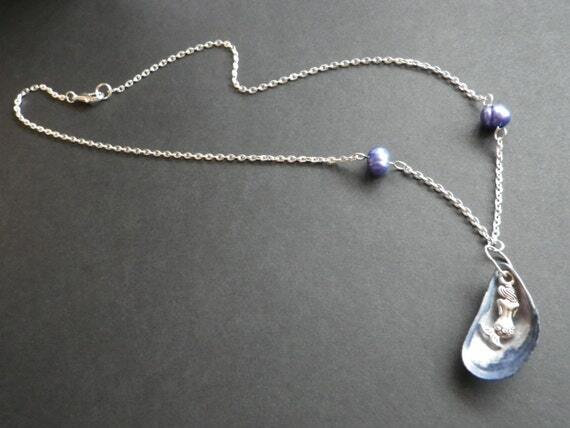 This necklace from CassieVision also features two blue freshwater pearls. 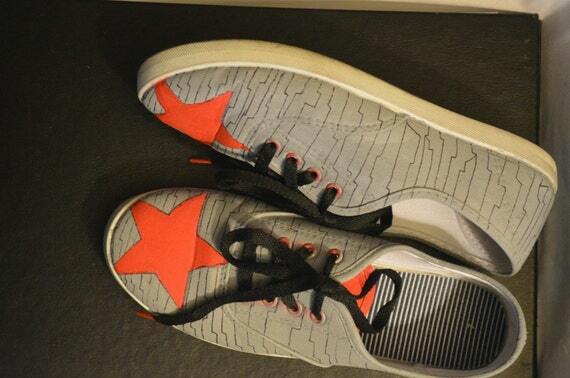 Fan of The Winter Soldier or not, these hand-painted shoes from MARELousShoes are perfect for running around. 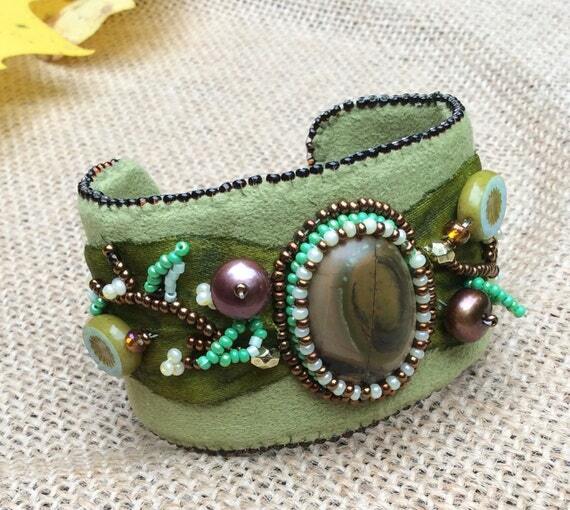 Inspired by nature, this cuff from Holly of the Earth features a Picasso Jasper Focal, Czech glass beads, and freshwater pearls. I love it because it makes me think of a garden. 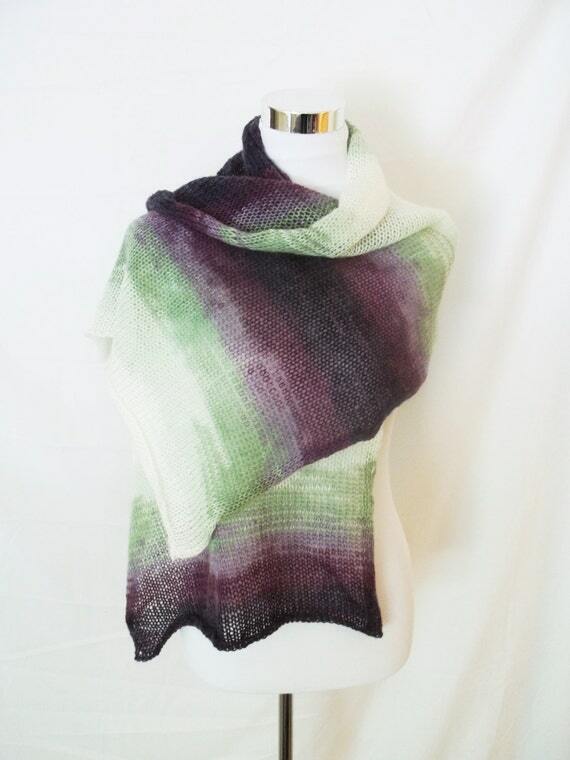 This Whisper Wrap from ZyloHandmade is made from mohair, wool and acrylic in a stockinette stitch, making it luxurious and lightweight. Gorgeous, soft, simple, functional.. 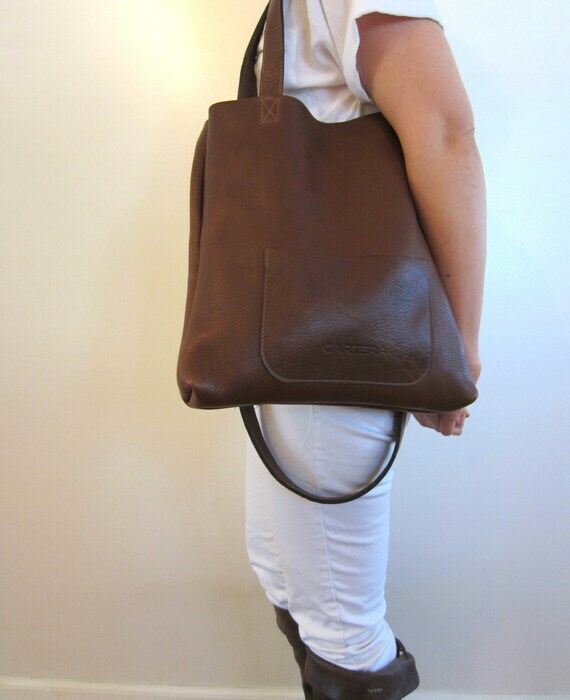 I love this bag from CARTERA. It can be worn cross body, or as a shoulder. It is roomy enough to carry all of your essentials. 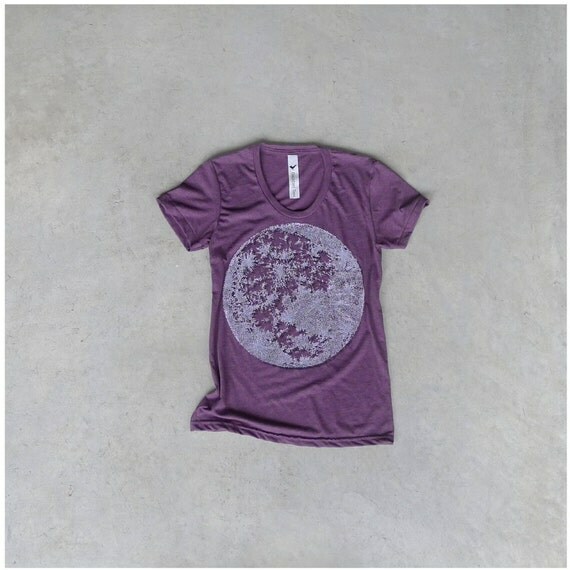 Printed with a pointillism technique for greater detail, the Moon Shirt from blackbird tees is printed on an poly-cotton blend American Apparel shirt. Hello! It's Wednesday again! This week, I put together a cute little girl out fit centered around one of our headbands. 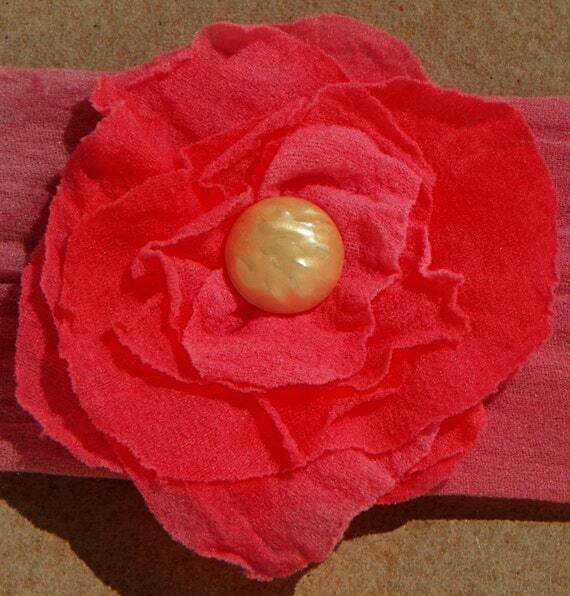 Super stretchy land lightweight, this headband has a fluttery flower and features a vintage button. I sewed this by hand. 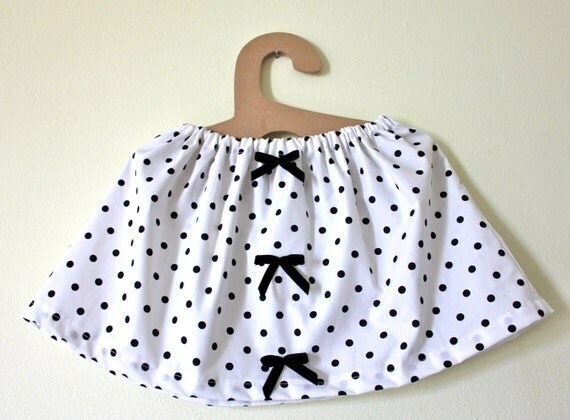 This 100% cotton skirt from Made in Mommy has cute polka dots and bows. The style ensures that it will be easy for little girls learning to dress themselves. 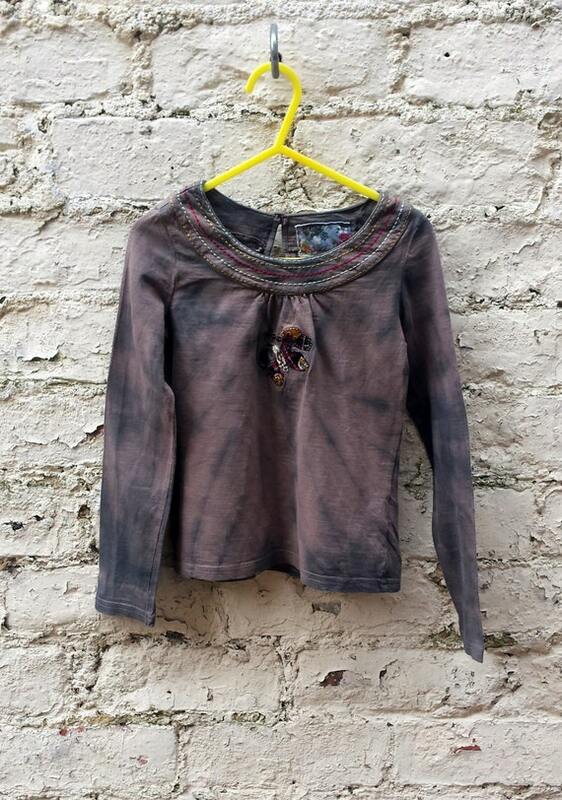 This upcycled shirt from Abi Dashery has been dyed by hand, ensuring that it is truly one of a kind. 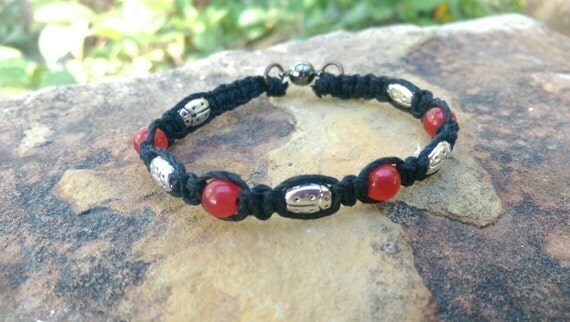 Cute little ladybugs, red beads, hemp, and love make up this cute bracelet from Creative Earth Jeweler. More ladybugs! 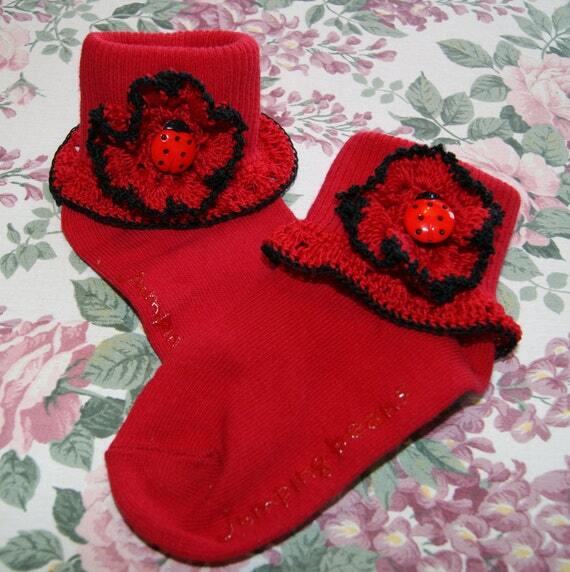 These socks from Mystic Needle have crochet edging and ladybugs. 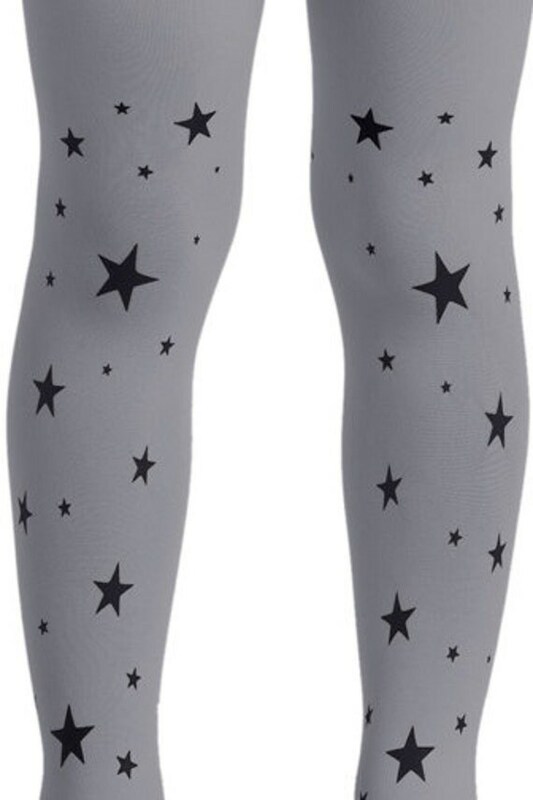 These tights from Zohara - Art on Tightsare sure to be a hit! Their sturdy design will keep little legs warm on chilly days. 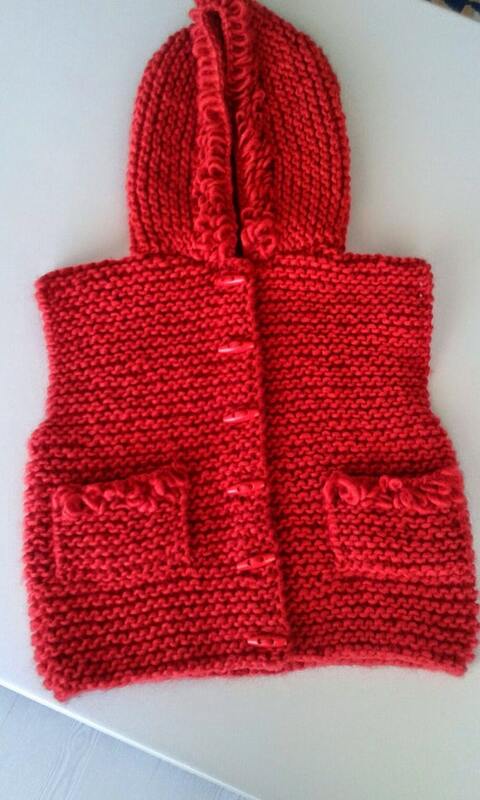 I really like the bright red of this hand-knit waistcoat from NorthsKnittings.